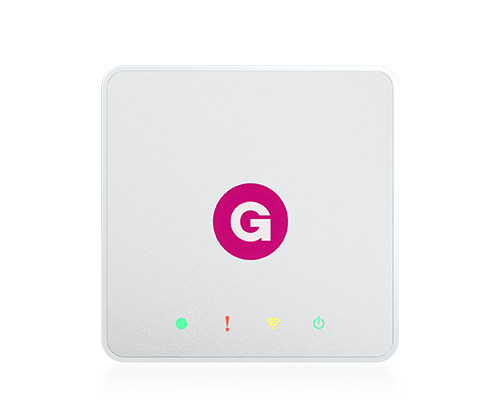 Control your home with innovative smart solutions designed for a simple, smart home set up. The AOne™ Smart Hub offers you smart, connected control throughout your home. 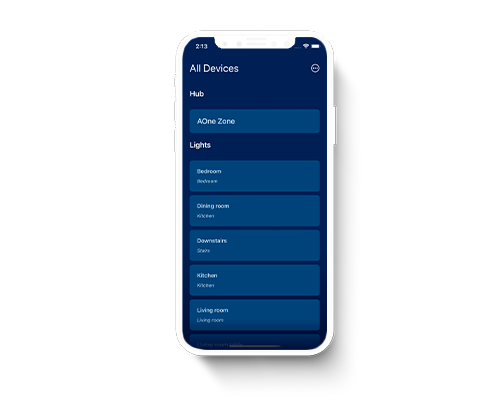 Simply install your smart lighting devices and configure the app to gain control of your lighting space from anywhere in the world. 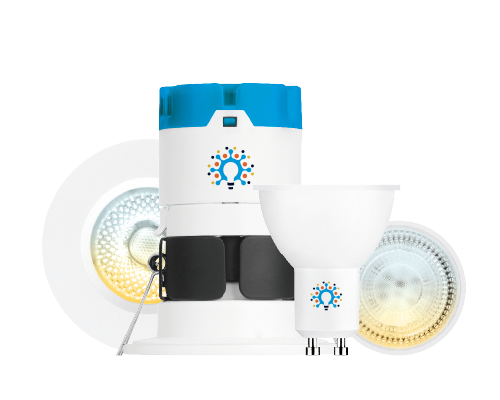 Choose your bulbs from the AOne smart light range. 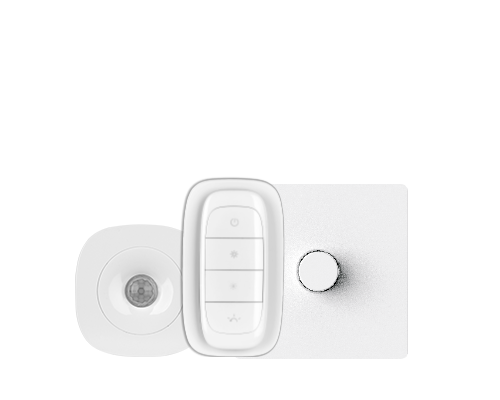 All products wirelessly pair with the Smart hub and can be connected individually or as a group using the AOne App. The AOne™ range features a selection of dimming controls. Smarten your existing lighting circuit with an AOne in-line dimmer, or wall controller and the AOne App for dimmable, tuneable and colour changing control. Your trained electrician can advise if you require an inline controller. Benefit from additional control and energy savings with the inclusion of the AOne™ Smart Sockets and Sensors. Automate and trigger your lighting based on movement detection, occupancy sensing and lux levels.